The flag of Iran was adopted on 29 janvier1980. It is composed of three horizontal stripes : green - white - red, with the emblem of the country in the center. This emblem represents a stylized version of the word Allah (God) written in Arabic. It is designed so that the edges are cescents, strong symbols for Islam, and they are 5 in number to symbolize the five pillars of Islam (Muhammad, prayer, Ramadan, pilgrimage to Mecca and almsgiving). Slots stylized in the colored stripes are actually a stylized representation of the phrase Allah akbar, God is great. You can download it in different sizes, in a decidedly modern design for your personal use, or for wider use. Iran's flag is available in 4 different sizes. 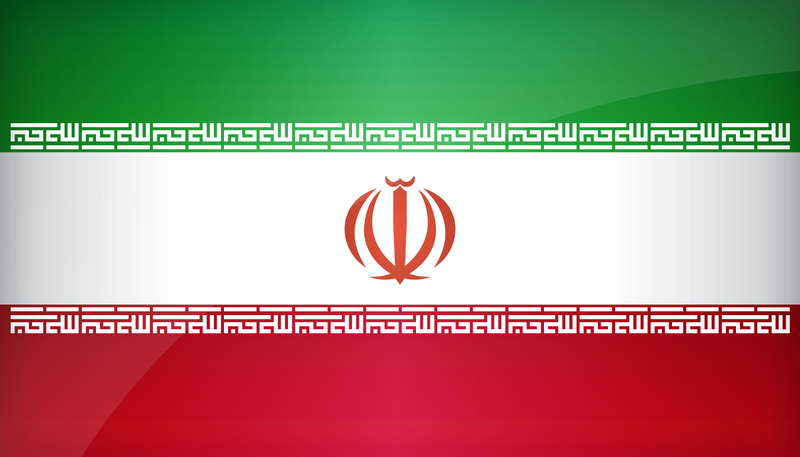 Keywords: Flag iran wallpaper, Iranian, Islamic Republic of Iran, National iranian flag, banner, pictogram, country, icon, Iran icon, international, Tehran, Tehran, Mashhad, Karaj, Esfahān, Asia. This page has been viewed 32881 times.